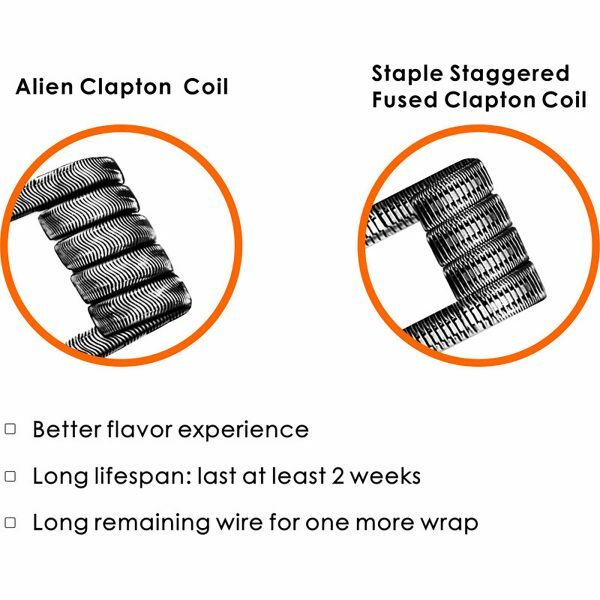 The Alien & Staple Staggered Fused Clapton Coils by Geek Vape are exotic coils that are primarily rebuilt by advanced builders who enjoy experiencing more flavor or even bringing out the undertones of their e-juice that standard builds cannot produce. Thanks to Geek Vape anyone can enjoy the vape experience from these exotic coils! I have bought the aliens to specify in what I’m reviewing. They are fantastic. I hate to be the guy to compare coils but if you have or are thinking about the vpdam coil set. Understand if the main motivation for the vpdam coil set is the fused claptons or the aliens. They are not the same. These aliens can fit most 24mm devices and up. And are a 10/10.